Social Media Marketing has touched a new height in 2018 & has become an imperative ingredient of any online marketing campaign. With the advent of new Social Media platforms like Instagram & Snapchat, Social Media Marketing has become very competitive as every other business is trying to cash in the huge social audience to boost their revenues. Hence, the social media platforms have updated their algorithm to limit the reach of your posts. 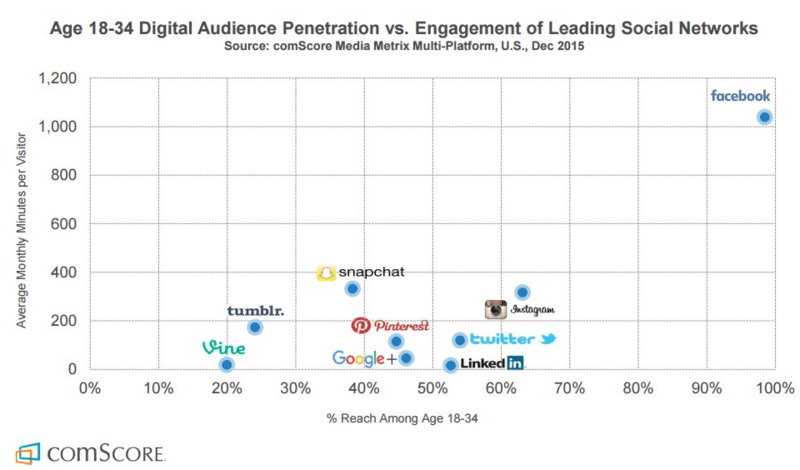 The organic reach has declined dramatically on Facebook. Hence, the only option left is to pay the social media platforms to show your content to the maximum audience. But paid ads will not guarantee your engagement & hence it’s not worth spending thousands of dollars on boosting your posts. Hence, we have come up with some innovative idea which can increase your organic social media reach without even spending a cent on ads! Let’s dive in! Hence, you should first create a buyer persona based on Demographics data like Age, Gender, Interests, Income, Education Level etc. Then you can find out where exactly your target audience hangs out & start posting relevant & engaging content on that social network. You can check ou this guide on optimizing your content for different social media networks. Hashtags (#) have become an integral part of every social media post on every social media.It makes easier for users to track & organize topics based on their interests.It is the easiest way to categorize contents on social media. This is the guy who started it all long back in 2007! In fact, due to its popularity “Hashtags” have found a place in Oxford Dictionary. Another, great benefit of using a hashtag in your posts is that it connects with users on other social media platforms.But most of us still don’t know how to use a hashtag properly in posts & end up spamming their posts with too many irrelevant hashtags. So, let’s look at the following guidelines about properly using hashtags in your social media posts. Hashtags are primarily incorporated in order to monitor trending events & discussions on social media to update users about the latest buzz in the social media.You can click on a particular hashtag & can get redirected to the hashtag feed instead of your original feed. You can directly post from the hashtag feed on Facebook. You should use the hashtag as a single word with no spaces in between if you want to use more than one word in your hashtag. Don’t clutter your hashtag by stringing too many words together. Try to keep it to the minimum. You can’t include special characters but you can use numbers in your hashtags. Use the hashtag in trending topics in your niche industry to drive more traffic to your posts. The only thing to keep in mind is that you have to be specific about the topic. Every network has its own unique way of interpreting hashtags. Hashtags are focused on the specific topic about which you are tweeting. You can also use a hashtag to track Twitter chats & connect with influencers in your niche. Each hashtag has its own unique URL from where you can post your status updates. You can leverage this URL to drive more traffic from other sites. You can leverage the hashtags to increase your reach. When you use a popular hashtag with your content the audience searching for that specifically for that niche may discover your content. Want To Amplify Your Marketing in 2019? Consult our Google certified experts for FREE. CONSULT US NOW! Create your own innovative hashtags for your products & services through which people can identify your brand of products & services. You can also create hashtags for events happening around your brand. You can leverage trending around current events which can boost your posts & tweets to gain more engagements across the platform. You can use any sporting event like #Wimbledon, #USOpen to catch the attention of the online community who are following that event. You should not spam your posts with hashtags & use it frugally. You should not be in a situation where you have more hashtags than words.This will only attract spammers who will just follow you to get a follow back.In order to get real fans, you have to use hashtags more judiciously based on your niche. You have to keep a balance between too generic & too specific. If you create hashtags which are too specific to your brand or product before its launch then nobody will search using that hashtag as they have never heard of your brand. So, it’s better to use trending hashtags niche.Don’t make your hashtags too long but try to keep it short. It has been seen that people always go for short hashtags (But remember don’t be too offbeat ). Leverage Hashtags To Create Engagement in 2019! Hashtags, if used cleverly, can generate tremendous reach & engagements on any social media platforms be it Facebook, Twitter or Instagram but you have to be careful in to use it at the right place to gain maximum reach. Hashtags should be an integral part of your Social Media Marketing especially if you are doing Content Marketing on Twitter & Instagram! Just like On-Page SEO you can optimize your Social Media profiles by some easy hacks. Facebook, Instagram & Twitter are constantly tweaking their algorithm to show the most relevant & useful content to their audience. Hence, you should always try to post content tailor-made for your audience which will keep them engaged to your page. You can easily track what type of content is getting the most engagement from Analytics & then create similar content consistently. If your audience has engaged with such content before then there is a high chance that Facebook & Twitter will show them in their feed. Don’t just go on posting content blindly all day but schedule your content at a specific time each day for based on when your followers are active on that social media. 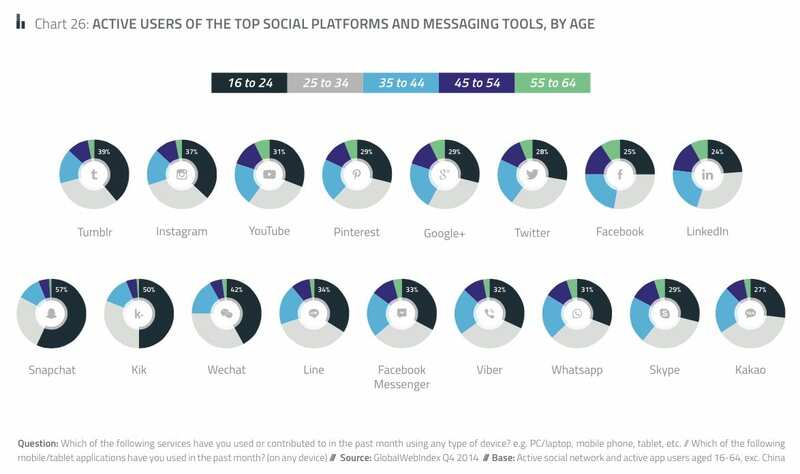 You can deduce this data from built-in Analytics on each platform. If you keep on posting the same type of content daily then your audience will get bored very quickly & will bounce off your page. So, you should try to tweak your content strategy with a mixture of Text Updates, Photos, Links & Videos. You can specifically target each post based on Age, Gender, Language, Location & Interests to optimize your post reach & engagement. You should be as responsive as possible to your audience who are engaging with you through messages & comments. Your audience is investing their valuable time to leave a comment or message you so you should appreciate them to make your audience feel important. If you don’t interact with them & ignore your audience then they will be offended & will just stop interacting with your page which can be detrimental to your brand. Responsiveness is, in fact, one of the factors that Social Media algorithms analyze in factorizing your News Feed rank. The more you interact with your audience, the more your content will be shown in their feed Hence, you should fix a time to reply to your messages & comments If you are too busy to monitor your page then you should hire a Social Media consultant who can monitor & interact with your audience on your behalf. Social Media is a paramount component of your overall Digital Marketing Strategy in 2019. But Organic reach on Social Media is becoming more & more difficult as the social networks are tweaking their algorithms to filter out irrelevant & spammy content. Hence, you should be focusing more on creating more value for your audience with informative, useful & emotional content to connect with them. Once, you discover what is working for your audience then you can focus more on creating a similar type of content & your engagement will be sky high without clicking “Boost Post”!